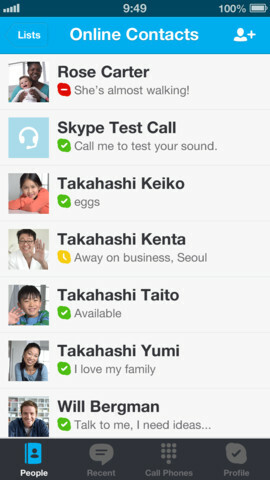 Skype v4.5 update for iPhone and iPad brings new features and improvements. This update brings Automatic call recover for dropped calls, Emergency calls diversion to native dialer etc. + Automatic call recovery for dropped calls. + Fix so that instant message conversations appear in the correct order. + Marketing opt-in / out selector within app registration. + Emergency calls now routed through native dialer. + Improved UI allowing a simple swipe from the left of the screen to see your recent conversations in a sidebar. + Improved spacing and minor UI changes for iPad mini screen size.